HACA and Carleton Residential Properties recently broke ground on the new Pathways at Chalmers South located at 1640 E. 2nd St. Dignitaries Austin Mayor Steve Adler, Congressman Lloyd Doggett, Councilman Sabino “Pio” Renteria, and U.S. Department of Housing and Urban Development San Antonio Field Office Director Zuleika Morales-Romero joined HACA for the event. 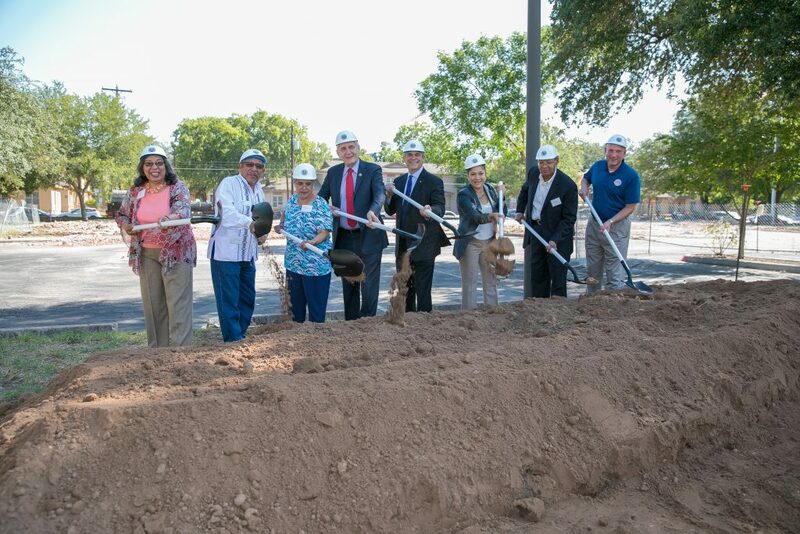 The new construction replaces HACA’s former Central Office building built in the 1980s and will be a state-of-the-art development with modern amenities including central air conditioning, a fitness center, and a laundry facility, to meet the needs of Austin families. When complete, the Pathways at Chalmers housing community will add nearly 400 affordable units to the Austin rental market. Residents will also have access to onsite workforce development, educational, and health and wellness services provided by various community partners.